Additionally, no matter which of our wood species you select, you can opt for E-Peck™ distressing services for a charming look that previously only Mother Nature was able to perfect. Distressed wood is a modern, rich take on an already visually attractive addition to your rooms and ceilinged outdoors spaces. 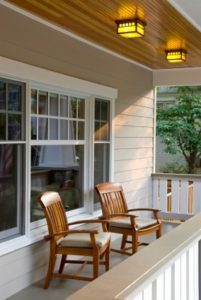 If you want an elegant tongue and groove ceiling installed on your property in St. Augustine, FL, or another nearby city, contact the home improvement experts at Green Machine today.